because you optimize the design via multiple rounds of virtual system integration testing at the start of the project, before investing in implementation. as Agile and IBM Rhapsody produce average cost over-runs of 80%. By avoiding the need for expensive redesign during integration, simpleXecutive avoids the time-consuming delays associated with that rework. Projects are completed faster and project owners benefit sooner. simpleXecutive can be applied at any phase of development, so it’s always an option. Use it for proposals and kick off project development to ensure a smooth, effective process; use it after traditional methodologies create unexpected problems, delays, and costs; use it to evaluate future upgrades. 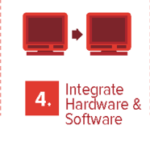 System designs and requirements are evolved collaboratively, simultaneously validating both. Components are developed to validated specifications. both also more reliable. There’s less risk that projects will experience delays or cost overruns creating less need for contingency planning and budget reviews. 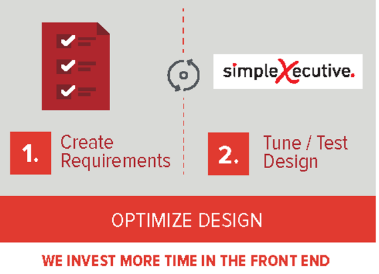 Designers can use simpleXecutive while leveraging their existing investment in tools and expertise. simpleXecutive complements, rather than replaces, open source and proprietary development languages, tools, and environments. We model system performance on complex embedded systems. We conduct iterative trade studies to test and tune alternative system designs using our patented modeling tools. 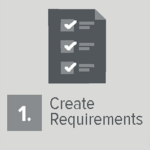 This approach collaboratively evolves designs and validates performance against requirements. Our approach reduces integration time and creates a valid basis for estimating development costs and schedule, substantially reducing both. 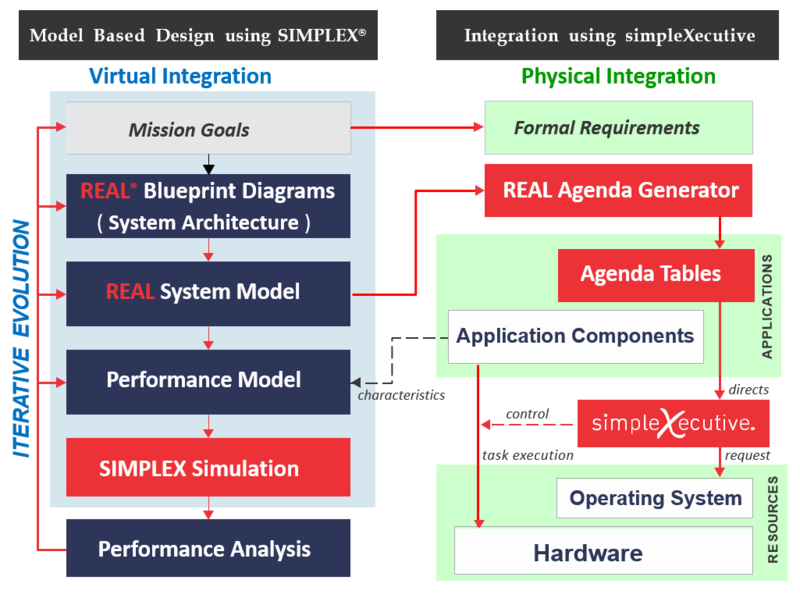 simpleXecutive Methodology, SIMPLEX tools and simpleXecutive reduce risk, reduce costs and reduce integration schedules by separating Applications from Resources and models performance of real-time, complex, embedded systems, prior to writing any code. 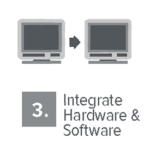 Our methodology and tools were specifically designed for systems where time, size and power are critical elements. Risks are further reduced by collaboratively developing system requirements along with system design. In a very real sense, SIMPLEX simulations synthesize integration. We can’t say all integration problems and issues are avoided but we can say that their number and severity will be greatly reduced. This brings schedule and budget under control. Under our DARPA contract, we demonstration this as the first practical execution of the promise of the simpleXecutive methodology where system design is formally separated from component design and implementation. Integration with simpleXecutive automatically adapts reusable modular procedural and data components to any specified Resource Configuration and orchestrates their execution free of all system integrity hazards. 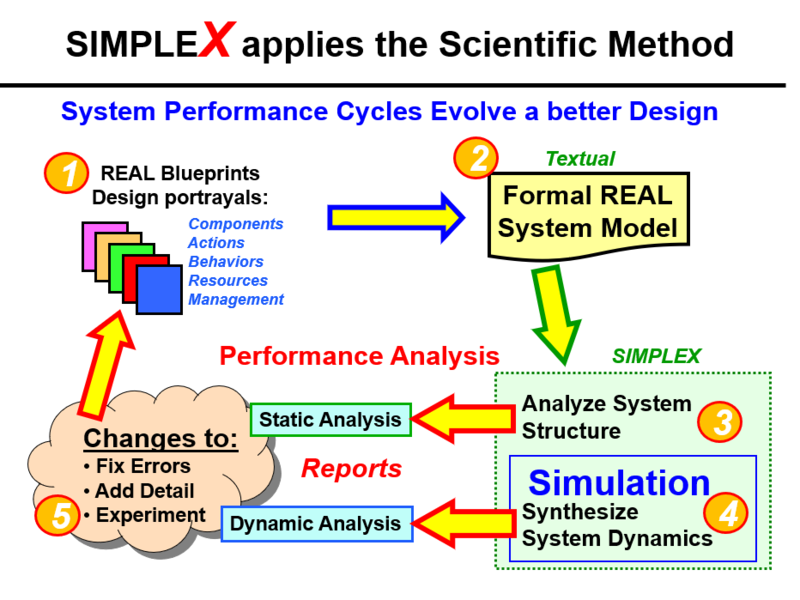 SIMPLEX accurately predicts the resulting system performance before entering full scale development. And best of all, the design of the system has been iteratively evolved to produce superior performance. This is a NEW approach to complex real-time system development where performance, thermal and size are critical elements! SIMPLEX simulations accurately predict the system performance of a complex system design by integrating real-time system performance on multiple interacting event timelines. Timelines are emulated for every component; processor timelines capture the task stream allocation, interrupts, preemption, and data accesses as well as periods of idle; bus timelines sequence message transmissions, segmentation, contention, gaps for the applicable protocol; data timelines profile usage exposing concurrent accesses; operator timelines show response delays and asynchronous command inputs. SIMPLEX synthesizes when and where activities take place as opposed to what activities do. SIMPLEX synthesizes how a system operates in time using parameters to characterize component runtimes, memory sizes, power consumption, throughput, bandwidth, etc. Overhead is characterized for interrupt detection, context switching, dispatching, message contention resolution, inter-message gaps, etc. 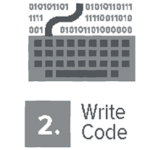 Since SIMPLEX does not use actual code or actual hardware, we can simulate systems before code is written, or before the hardware is available. Our models represent interfaces beyond just timing, signal, data, type and structure. These models represent measurement data by range, precision, accuracy, coordinate system, reference frame, and more. SIMPLEX tools check all data interfaces for consistency and potential usage integrity hazards. SIMPLEX automatically incorporates full spectrum hazard protection into every simulation (patented). 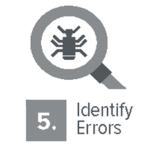 Formal integration and testing time is substantially reduced because we identify and repair many errors in the model before the problems are actually implemented. 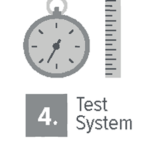 We literally model system integration which discovers and corrects timing errors, interface errors, loading, sequencing and integrity hazards long before physical integration and testing. 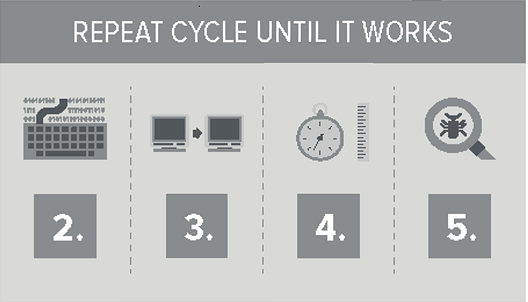 The simpleXecutive methodology and SIMPLEX tools can be applied at any phase of lifecycle. Processor and bandwidth utilization analysis reports quickly identify low-hanging fruit, bottlenecks, chokepoints and “easy stuff”. Our models can be easily changed and quickly simulated to show performance sensitivity which allows improved decision making prior to making a final design commitment.